Founded in St. Louis in 1997, Build-A-Bear Workshop, Inc. is the only global company that offers an interactive make-your-own stuffed animal retail-entertainment experience. The website contains press releases, reports, conference presentations and other information released in the past by Build-A-Bear Workshop, Inc. These contents may no longer be current. The passage of time can render information stale, and you should not rely on the continued accuracy of any such material beyond the date of issuance. On the date released, some of the contents of this website may have contained statements that were then "forward-looking statements", based upon then current expectations, forecasts and assumptions that involved risks and uncertainties, then enumerated by Build-A-Bear Workshop, Inc., that could cause actual outcomes and results to differ materially. To the extent any information is forward-looking; it is intended to fit within the safe harbor for forward-looking information. Build-A-Bear Workshop, Inc. disclaims any intention or obligation to update or revise the contents of this website, including but not limited to any forward-looking statements made at the time the information was first released, whether as a result of new information, future events or otherwise. Any SEC filings are provided by a hyperlink to a third-party SEC filings website, and are subject to the limitations noted above. 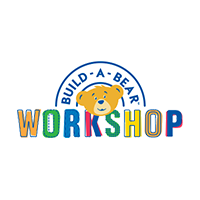 Build-A-Bear Workshop, Inc. does not maintain or monitor this site, nor does it provide information directly to this site.